Posted September 17, 2005 by Emmet Farrell in News. Claregalway and surrounding areas have been growing rapidly over the past years,from 1996 to 2002 the population of Claregalway increased by 48.4%. Not only has this dramatic growth had some benefits but it has also brought some disadvantages and excessive pressure on local infrastructure, amenities and services. These need to be addressed urgently. Local amenities and facilities are severely over-stretched or in some cases absent altogether. The urgent need for a by-pass is recognised nationally and locally with upwards of 33,000 vehicles per day passing through Claregalway. The urgent need for connection to a main sewerage scheme is ever more apparent as more and larger residential and commercial units are built. The foregoing (and several other issues) have highlighted the need for a group, representative of the residents of Claregalway and district communities, to lobby for change, to review and monitor industrial, commercial and significant residential development proposals and to advance and promote projects aimed at providing benefits to the community. THERE WILL BE A PUBLIC MEETING IN CLAREGALWAY COMMUNITY CENTRE ON THURSDAY, 6TH OCTOBER AT 8.30 PM. ALL ARE INVITED TO ATTEND. This scheme covers patients who are not covered by the medical card or long tem illness schemes. Individuals or families pay the pharmacist the first 85 euro per month of the cost of prescribed medicines and appliances. If the individual or family member has to obtain a prescription from a second pharmacy in the same month, the second payment can be claimed from the health service executive by submitting the relevant receipts. Patients not already registered should send a completed application form to the health service executive, forms available directly from the HSE or in any pharmacy. Many patients are not aware that they are entitled to tax relief on the cost of their prescription medicines. A repayment of tax may be claimed in respect of qualifying medical expenses, the first 125 euro per person (250 euro per family) does not qualify for relief. Med 1 forms are available from your tax revenue office or online. Med 1 reports (the amount spent during a tax year) for an individual or family may be obtained from your pharmacy. The LTI scheme makes provision for the supply of medicines and appliances free of charge to individuals who suffer from certain chronic illnesses. These are: diabetes insipidus, diabetes mellitus, haemophilia, hydrocephalus, spina bifida, multiple sclerosis, muscular dystrophy, parkinsonism, phenylketonuria, epilepsy, mental handicap, mental illness (in children under 16) and acute leukaemia in children. Patients wishing to register on this scheme must submit an application form, which has been completed by their doctor, to the HSE. Many patients are not aware of these entitlements, should have any queries you can contact your pharmacy, your local HSE community care office or the tax office regarding med 1 form. John Duffy MPSI. Claregalway pharmacy is open late Monday to Friday until 8pm and 6.30 pm on a Saturday. Tel. 091-799754. Well done to the athletes from Claregalway/Lackagh who represented us with pride at the Community Games in Mosney recently. We are all deeply indebted to the various coaches who gave freely of their time to bring the children to such a high standard. The arrival home and the reception at the Claregalway Hotel was indeed very memorable. Having received some enquiries in relation to the status of the roll out of Broadband in this area I made enquiries with the Community and Enterprise Section of the council and they have informed me that they hope to be in a position in the near future to make an announcement on this very important piece of infrastructure and its providers. On August 23rd. I wrote to the County Secretary to ascertain from him what plans the county council have for the provision of recreation and playground facilities for Claregalway. The reply received by me in a letter dated 1st. September was that the County Council are actively pursuing the purchase of amenity lands in Claregalway and the provision of a playground will be considered in the overall development. I am also aware that Deputy Noel Grealish has also been in discussion with council officials on the same issue. The local area office have received a number of requests from me in relation to the cutting of grass verges and hedge cutting. Some of the work has been carried out and I understand that roads such as Cloon, Clogher, Cahergown and Montiagh are to be looked after in the very near future. The council have only a limited number of staff for this work and the issue was discussed at length at a full meeting of the council in July. It was decided that when the estimates for the coming year are being discussed later in the year that additional money will be set aside for this type of work. Some time ago Claregalway had a bottle bank but unfortunately the area around it was being used for dumping. This week I spoke again to the environment section of the council and they will be agreeable to put a bottle bank in Claregalway as soon as a suitable location becomes available and they will also be willing to fund a Close Circuit Security system for the location. I will be keeping in touch with the council on this matter. We are all very proud of our Community Games participants. Each and every one of them have done us proud in art, athletics, basketball, chess , gaelic football and swimming. The homecoming in Claregalway Hotel was spectacular. Peadar Dolan was the M.C. for the homecoming reception and played an excellent role. Exhausted participants and parents were silently estatic – the end of a journey and rewards well due. Young Kevin Brennan of Cregboy sang a lovely rendition of ‘Don’t Give Up ‘Till It’s Over’ which was very appropriate for the occasion. Well done Kevin. Come along on the 6th October. Represent Claregalway. We are all part of it. Congrats also to Marie and David Killeen, Gortacleva on the birth of their baby daughter Ava in August. Michelle Small, Cahergowan and Radislav Cicic on the 6th August in Banja Luka, Bosnia. Mairead Barry, Lydican, Oranmore and James Cormican, Clarinbridge on Sat. 10th September. Best of luck to everyone at Educate Together School in Cloonbigeen, Claregalway. It’s great to see equality in education. WELL DONE TO THE COMMUNITY GAMES SWIM TEAM REPRESENTING CONNAUGHT WHO CAME HOME WITH GOLD AGAIN THIS YEAR! ALL THE HARD WORK PAID OFF GIRLS!! Peter Michael Donoghue, Kiniska and London. Josephine Giles, Cregboy and Killeen. A few brief notes to bring you up-to-date with school news, as we start the new school year. Ar an gcead dul sios, ba mhaith liom failte is fiche a chur romhaibh, idir paisti, tuismitheoiri agus muinteoiri. Ta suil agam go mbainfimid le cheile taitneamh agus tairbhe as an bhliain ata romhainn. Even though the school was closed for the Summer break, much work was done quietly in the background. A lot of dangerous stones were removed from the school playing field, (John Reilly had already started this work last June) and part of it was totally re-sodded. The grass was cut regularly – with the result that the school grounds now look in great shape. The window boxes and flower tubs were watered regularly – they too look very well. Within the building itself, there was also a lot of activity. All the classroom furniture was removed (and later on put back again) from the old Junior side – to facilitate the polishing and buffing of the new floor surfaces. Many parents and teachers gave of their free time so that all this work could be done ahead of school opening (I don’t wish to name anyone specifically – in case I leave out anybody.) Suffice it to say, how much we appreciate your generosity and fine sense of community spirit. I’m delighted to tell you that we are now finished with the pre-fabs. They were supposed to be gone by mid-July. It was only after umpteen phone calls and threats of non-payment of the rental, that we prevailed upon the cabin-provider, Tossie Hayes to remove them – finally they moved on Tuesday last, the day before opening. Hopefully, we won’t have to hire pre-fabs. again for a long time to come. It goes without saying that I am very happy to be finished with them – as they caused a lot of extra work and frustration. We now plan to landscape the ground occupied by the pre-fabs. and turn it into an attractive playing area. Two other fine pieces of work were completed during the holidays: (a) The tarred area just out from the main entrance was extended, new tarmacadam put down and the basketball stands were re-erected – so that we now have our basketball court restored and (b) I had asked David Conneely to instal a perspex covering over the new Infant’s entrance – so as to provide shelter for the little ones on wet mornings. This was also done on time. Each family has already been given a copy of the School Rules and Regulations. We have tried to make them as simple and as few as possible. The aim is to inform the parents and children so as to make for the smoother running of the school. Please read and keep for reference. I would like to thank all the parents who have sent in the music and dancing fees so promptly – could I remind the others to do so as soon as possible. As for the Personal Pupil Insurance Scheme, most families availed of it last year – and yet there were quite a few who didn’t. The Board of Management stronglyrecommends this scheme to you, as it provides excellent cover for your child for a very small premium. At our staff meeting we decided to hold a Book Fair this year from Monday, December 12th. to Friday, December 16th. We will soon be having a special meeting of the Board of Management to plan for the opening of new school extension. It will be a very special occasion and we will make it a memorable one as well. We will also be in touch with you in the near future regarding the collection of the next round of parental contributions (€100 per family – some families have already sent in theirs and we thank them for it. Congratulations to Ryan Manning (Rang 3) and our new signing from Cregmore N.S. Jamie Holland, both of whom won a gold medal in the Under 10 Community Games which were staged in Mosney recently. These boys starred on the Claregalway/Lackagh football team and Ryan scored the winning goal. Well done, lads, – we are proud of your achievement. At our recent staff meeting, we decided to make a renewed effort this year to extend the use of Gaeilge labhartha throughout the school. We ask for your co-operation in using whatever amount of Gaeilge you have with your child – even if it’s only for a few minutes every day. If you do, you will be pleasantly surprised at how quickly s/he will learn the language. After all, a language is ‘more caught than taught’. Apart from the opening of the school extension, we have other upcoming happy events to look forward to: John and Alice Reilly are expecting their first child at the end of October and Gina and Tomas Mannion are expecting their 4th. at about the same time. Gina will be leaving us shortly at the start of her maternity leave. We wish both her and Alice well at this exciting time. Unfortunately, we also had some sad events during the Summer. Last July, Marion Lardner, (nee Fox) passed away after a long illness, bravely borne. Shortly after, came the news of Marie Hyland’s tragic death – Marie was one of our pupils just a few short years ago. And last week, Henry Walsh of Caherlea died. To all their families and friends, we extend our deepest sympathy. Go ndeana Dia trocaire ar a n-anamnacha. Is mise le meas, Philip Kyne, An Maistir. 100m and U-12 girls 4 x 100m Relay, Ryan Harrington U-14 80m Hurdles, Nicola Conlon, Georgina Healy, Deirdre Brennan and Emma Johnston also in the U-12 girls 4 x 100m Relay. 4 x 100m relay was first off with Georgina, Nicola, Deirdre and Amy comfortably winning their heat. Emma stepped into the semi-final in Deirdre’s absence and again these young ladies excelled themselves to take third place qualifying for the final on Sunday. Ryan also comfortably won his heat with an excellent run over the hurdles qualifying him for the semi-final. Amy followed on from a great run in the relay to easily qualify into the 100m semi-finals. Following a very tactical race by Richard he also sailed home to take a qualifying place in the final. A strong wind from the west was evident as the games re-opened on Sunday morning. Ryan was our first competitor of the day in the 80m hurdles semi-final coming 3rd and securing a place in the final in which he finished an overall 5th place. After a “break” in the 100m semi-final Amy was thrown off her stride but finished very strongly just outside a qualifying place. The 600m final got underway with Richard very keenly settling into a top position. After encountering a fall at the 200m mark and injuring his arm Richard courageously got up and finished the race to tremendous applause. The final event of the day was the relays. Following the semi-final where Nicola picked up a slight injury Emma, Georgina, Deirdre and Amy ran the race of their lives in the finals to deservedly take home the silver medals. What a weekend! Our thanks must go to the parents of these children who supported them throughout a very long summer since qualification, to all the parents, children and coaches from the Claregalway Basketball Club who very kindly found time to support these children in their events over the weekend, to the organizers of the “welcome home” group for a beautiful evening in the Arches. We wish to extend our congratulations to the Swimmers, the U-10 Football team and both Basketball teams on their success also at the National Finals. Two Claregalway/Lackagh basketball teams, U16 boys and U13 girls, travelled to Mosney, Co. Meath last weekend to compete in the National Community Games Finals. The girls started first with their semi-final on Saturday morning at 10 a.m. against Carrickmacross, Co. Monaghan. The starting five was Deirdre Brennan, Alexis Giwa, Helen Moran, Lauren Murray and Ciara Newell. They acquitted themselves well despite some early nerves and had a fairly comfortable lead at an early stage. At the half Claregalway/Lackagh led by 17 points to 10 and with an early surge from claregalway/Lackagh in the second half saw that lead increased 29 to 14 half way through the second half. Shauna Fleming was introduced for Alexis Giwa and did an excellent job under the boards. Amy Rohan who was also running in the relay over the weekend had to leave at half time to run in the heats so unfortunately did not get to play in the semi-final but her contribution to the team during the year was immense. Emma Shaughnessy, Aoife Greally and Sinead Harte all contributed well during the second half and held the score line favourably for Claregalway/Lackagh. The final score was Claregalway/Lackagh 39 – Carrickmacross 16. Claregalway/Lackagh team: Ciara Newell (8), Deirdre Brennan (10), Shauna Fleming, Alexis Giwa (Capt.) (10), Aoife Greally, Amy Rohan, Helen Moran (9), Sinead Harte, Lauren Murray (2) and Emma Shaughnessy. Later on Saturday at 3.30p.m., the boys U16 team came up against Castleblaney, Co. Monaghan in their semi-final. Claregalway/Lackagh were without the services of Colm Brennan on Saturday due to his participation in the all-Ireland Fleadh Ceol but Brian Moran stepped into the position and did an excellent job for the team. The starting five on the day was John Egan, Danny Cummins, David Morris, Emmet Kelly and Brian Moran. Again Claregalway/Lackagh started slow and could only find their rhythm with Dan Cummins playing a leading role on the court. Claregalway/Lackagh proved too strong inside for the Castleblaney side and with some good scores coming from John Egan and David Morris the score line began to favour the home side with a lead of 12 to 10 at the half. Again Claregalway/Lackagh started the better side and within a short period gained a 7 point lead through John Egan and Brian Moran. Scoring in the second half pulled Claregalway/Lackagh through to the final and the defensive work of the whole team ensured a low return from Castleblaney. Robert Dooley and Gary Rohan were introduced to the guard position as was Michael Evan and they all gave 100 per cent commitment to the game. The final score was 36 – 20 in favour of the home side and secured them their place in the final on Sunday at 3.30 p.m.. Claregalway/Lackagh team: Simon Monaghan, Dan Cummins (8), John Egan (14, Robert Dooley, Emmet Kelly, David Morris (4), Gary Rohan, Brian Moran (10) and Michael Evans. The U13 girls were in action again on Sunday morning at 11 a.m. against Currow/ Currans, Co. Kerry, a traditional hotbed for girls basketball in Ireland, for the final. This turned out to be a totally different game from the semi-final and a very physical one. Claregalway/Lackagh started with Alexis Giwa, Helen Moran, Lauren Murray, Deirdre Brennan and Ciara Newell. Both teams traded points from the start with Helen Moran and Ciara Newell picking up some early scores for the home side. Deirdre Brennan worked hard for the home side and got a vital score to keep in touch with the opposition. It was a tough defensive game throughout, but one which the Claregalway/Lackagh girls were able to cope with, justifying the many supporters, some of whom travelled up on Sunday morning for the final. At the half Claregalway/Lackagh led by 2 points thanks to Deirdre Brennan with a score line of 16 – 14. The second half started much the same as the first with the teams trading scores. It was level at 18 points each with ten minutes remaining. Currans then went into a three point lead shortly after. At this point the team changed their defense and with some brilliant defensive work from Lauren Murray and Alexis Giwa who got some steals and a score from Giwa to leave the home side trailing by one point. A basket from Ciara Newell put Claregalway/Lackagh into a one point lead with two and a half minutes to go. Helen Moran pulled down a big rebound and through a fast break which resulted in Alexis Giwa scoring a very vital score. Currans answered with one point from a free throw to leave the home side up by two points and in the next offence, a huge three point shot from Ciara Newell clinched the game for Claregalway/Lackagh. With a five point lead and 45 seconds left on the clock the home side put up a huge defence and were deserved winners with a score of 29 to 24. The floor was mobbed by parents, friends and supporters alike and huge celebrations ensued in what was to date the most successful accomplishment of the club. Claregalway Lackagh team: Emma Shaughnessy, Amy Rohan, Ciara Newell (13), Sinead Harte, Lauren Murray, Alexis Giwa (captain) (6), Helen Moran (6), Shauna Fleming, Deirdre Brennan (4),Aoife Greally and coaches Michael Murray and Maura Harte.. The second final was to be a much tougher assignment against a Cork team which had three internationals on board. Claregalway/Lackagh had done their homework and had identified the potential threats from Cork and with a starting five of John Egan, Brian Moran, David Morris, Emmet Kelly and Daniel Cummins began brilliantly and sped into an early lead of 8 – 0. This unfortunately was short lived and through some wayward defence from the Claregalway/Lackagh lads foul trouble mounted up. Cork rallied and with some fine scores pulled back the Claregalway/Lackagh lead and took the lead half way through the first half. Claregalway/Lackagh’s troubles were increased when John Egan had to leave the game due to foul trouble after only 13 minutes. Colm Brennan entered the game at this stage and scored two baskets soon after his introduction. At the half Cork had increased their lead to 23 – 11. Into the second half with Cork’s Ciaran and Daniel O’Sullivan scoring at will, the outcome of the game was not an issue from earlier on. The Claregalway/Lackagh lads still did not say die and continued fighting to the very end. The bench were introduced and all acquitted themselves well. In the end Cork ran out victorious on a score line of 46 – 24. There was a lot of sadness at the final whistle but on the day the better team won and the Claregalway lad achievement of a Silver medal is one which many clubs dream of and one which we as a club are very proud of. Well done lads. Claregalway/Lackagh team: Emmet Kelly (7), Simon Monaghan, Michael Evans, John Egan (4), David Morfris (2), Daniel Commins (3), Robert Dooley, Brian Moran (4), Colm Brennan (4), Gary Rohan and coaches Michael Murray and Liam Ryder. Basketball Gear: Electro Spares and Services, Goaley Construction and K/G Landscaping. Donations: Acorn Life Ltd., AIB Tuam Road, Bank of Ireland Mainguard Street, Gerry Brennan, Carsima Blinds, Brian Clince, Credit Union, Fexco, Billy & Bernie Greally, Sinead Greally, Gabriel Kearney, Helen Moran, Joe & Marion Morris, Mattie Murphy, Peter Murphy, Musgrave Cash and Carry, Anne Nally, ROCO Engineering, Gerry & Michelle Rohan, Noel Tynon and Walsh Fireplaces. The Club would also like to thank all those who supported the carwash and to Noel Hession for the use of his facilities. Thanks to Torque Car Accessories for sponsoring sponges and gloves. Thanks also both teams for washing the cars so well. Claregalway/Lackagh Under 10 Gaelic Football team make history! The Claregalway/Lackagh under 10 community games football team made history at the weekend in Mosney Co. Meath when they Won gold for the first time in the 40 year history of this competition. This success finally rounded off the collection of medals by Under 10 football teams from the parish who had previously won silver under the Guidance of Jimmy Gavin, Geoff Diskin and Ray Dooley in 2001, Bronze last year under guidance of Mike Coyle, Liam Ryder and Peadar Dolan who again this year managed to finally procure that elusive and fully deserved Gold by overcoming Kildare and Leinster Champions St Conleths from Newbridge. The team travelled up to Dublin on Friday to participate in the Opening Ceremony and Grand parade with up to 2000 athletes present. To reach the Final the team had contested the Semi-final on Saturday morning coming out best against Clonduff the Ulster champions from Co. Down on a scoreline of 0-11 to 1-03. The Ulster side were strong and imposed themselves on this game from the start. Cathal Evans opened the scoring with a good point from play .This was followed by points from Ryan Manning and Mark Coyle, before a great point from long range by Kevin Brennan. Clonduff struck with a well worked goal which stunned the team against the run of play. However a measure of the character of team was the response from Conor Shaughnessy a decisive point which gave Claregalway /Lackagh an interval lead of 0-5 to 1-0. Clonduff had the wind in the second half and scored a quick point. Mark Rohan came on for Cian Ryder in the second half and Conor Shaughnessy came out to wing forward. Colm Mannion was creating all sorts of problems for Conduff’s defence, and with two pointed frees by Mark Coyle, two from play by Ryan Manning and Conor Shaughnessy gave the boys from the west what proved to an unassailable lead. However Clonduff always looked dangerous on the break and Padraig Kearney brought of two great saves before Clonduff added two further points with five minutes left. Our defence battened down the hatches with Andrew Dolan and the teak tough Sean Linnane driving out with magnificant deliveries. Man of the match Conor Shaughnessy collected a ball in his own defence and carried it fifty metres before been fouled which resulted in a pointed free. In the move of the Game Jamie Holland stopped a certain goal from Clonduff’s full-forward and cleared the ball to Damian Holland, who in turn fed Shauna Doyle, her shot came off the post to Colm Mannion who tapped it over the bar to close the scoring. Jason Donnellan, Owen Whelan and Anna Golderick were impressive when brought on in the second half. Claregalway/Lackagh never looked like losing this game and knew that not having played to their full potential would have to improve to beat the Favourites from Kildare who had reached the final for a record third time in row by beating Munster champions Kerry. Having prepared well for this game the Claregalway Lackagh boys were relaxed and focused facing into the final, and further words of wisdom & support from the Dublin Football manager Paul Caffery helped add to that focus. This was a very strong Physical team from Kildare and they used that strength to score the first point within a minute. The Claregalway Lackagh Strength however was their will and character which they demonstrated throughout the campaign to respond to whatever was thrown at them. The all important first score came from a clearance by Christopher Carroll to Ryan Manning who popped it over with his left foot. Claregalway/Lackagh settled and a point from play by Mark Coyle followed by a free put them three to one up before Conor Shaughnessy chipped in to increase the margin to three. goal up. Playing with the wind we needed to be four or five points up however the Newbridge scored three points two frees and one from play to level the match with the ever accurate Mark Coyle landing another free to provide the slightest interval margin of 0-5 to 0-4. Follwing the expected pressure , 5 minutes into the second half Newbridge were level. They kept pressing and ten minutes in their supporters went wild when they took the lead. It was looking ominous for Claregalway/Lackagh but this was when the true character of this team emerged with man of the match Sean Linnane switching from centre back to mid field, and an inspirational free kick from Mark Coyle from a difficult angle levelled the match the comeback was on. The supporter now showed their true colours Chanting ” Galway, Galway Galway” adding to the energy of the team and they truly went wild with just over two minutes to go as Ryan Manning found the net from close range. Newbridge made one final assault, the defence held firm and were determined to hold on, with some amazing block-downs the ball was eventually cleared Kevin Brennan Emerging to pass to Sean Linnane who transferred to Conor Shaughnessy for the insurance point. The Gold was Going West! This was truly a team effort and all twenty panel members made vital contributions in the semi-final and final. It was also a team effort by their parents in organising the weekend from start to finish over three days. There was an emotional home coming with bonfires [much appreciated at short notice] from the team crossed the County boundary at Ballyforan for the thirty miles home. They started in Ballinamore Bridge, Moylough, Cooloo, Briarfield, Horseleap Turloughmore, Lackagh and Claregalway. A big thank you to all well wishers along the way you certainly helped create wonderful memories for all involved. A reception for the team was held in the Claregalway Hotel with up to 300 people present where the efforts of team and mangers, families sponsor and supporter were recognised. It was also fitting that the Under 13 girls swimming relay from the parish were also present for this occasion to recognise their achievement in also bring Gold to the parish. The football team are in action again this weekend as they contest the Kevin killian cup on Saturday morning in Belclare where 8 of the best teams from the county participate so this is your chance to come along and see the All- Ireland Champs in action. The Team was:-Padraig Kearney, Christopher Carroll, Jamie Holland, Conor Ryder, Andrew Dolan, Sean Linnane, Damian Holland, Cathal Evans, Mark Coyle, Ryan Murray, Kevin Brennan, Conor Shaughnessy, Ryan Manning, Cian Ryder, Mark Rohan Colm Mannion, Jason Donnellan, Owen Whelan, Shauna Doyle, Anna Golderick. We congratulate the class of 2005 as they set off on their various career paths and our thoughts now turn to the current Leaving Certificate students as they plot and plan their future options. Trish Dolan at ‘Career Discovery’ is able to offer an individualised career counselling service to students who are keen to explore their career options and make the best decisions about their future tertiary studies. Trish has worked in the education sector for over 23 years and has been specialising in careers advice and counselling for the past 16 years. With her wealth of experience she is able to support students in identifying their interests and strengths and match them with course and career options. Each student undertakes an individual vocational assessment. After this information has been processed, each student receives a comprehensive practical report followed by a lengthy discussion. Trish has found that the more information students have about themselves in terms of interests, aptitudes and personality, the better equipped they are to both understand the range of options available to them, and also identify career paths suitable to them. It is never too early to start career planning. Trish reports that students think researching their CAO choices is a long way away. However students typically put this kind of investigation on the long finger and before they know it, February 2006 has arrived and decisions have to be made! She has found that students who undertake some form of in-depth course/career exploration in a consistent manner are well on the way to making informed, reliable decisions. There is nothing worse than making decisions under stress. Year after year Trish comes across students who find themselves on a particular education, training or work path they have little interest in, but they’re not quite sure how they found themselves in this predicament. ‘A little planning goes a long way’ is a saying that holds true for Leaving Certificate students who are keen to explore the huge variety of options now available to them. Once the Leaving Certificate ‘rush’ is over in February 2006, Trish also sees 4th year students, pre-Leaving Certificate, who are eager to start investigating their course/career options and Junior Certificate students who need to plan their subject choices. 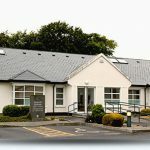 Centrally located in Claregalway, Trish is available by appointment only and can be contacted on 086 1959862. She is also available to talk to parent groups/school information nights on a variety of topics regarding secondary education. Buying a sofa or suite can be a big investment, so you need to give yourself plenty of time and also plan it. Don’t just consider the look of it, but take the size, comfort, construction, and type of cover etc. into account. Nobody wants to sit on an uncomfortable sofa, particularly one with bad springs or little padding. It is like a bad bed, you’ll end up with aches and pains. When buying a sofa or suite, the most common mistake people make, is buying one, which is too big for the room. No matter, how well it looks or how much you love it, if it’s too big, it will do nothing for the room or décor and you will probably hate it from day one. Sofas tend to look smaller in a large showroom, which often have high ceilings. Also consider whether you’ll be able to get it through the door (often forgotten) or if you live in an apartment, into the lift or up the stairs. So to avoid mistakes, draw a plan or your room (it doesn’t have to be a work of art) include doorways, other large pieces of furniture, etc. and use this to help you decide the size and configuration of chairs and sofas that best suit the room. If you are starting with an empty room, you may have more options. Consider the proportions of the room in relation to the height and depth of the sofa, e.g. if a ceiling is low, a high-backed sofa may dwarf the space like a sofa that’s too large. Make a note the maximum width, height, and length of sofa that will fit into your room and take this with you when shopping. Next decide, what style you like, try to choose one that suits the room and other furnishings. You can choose between Contemporary and Traditional styles or a mix of both, but don’t go overboard and end up with a décor mess. Consider, also, the relationship created between the existing and the new furniture – not only in terms bulk, form, and colour but also in seat heights in the room, as different seat heights can add interest. One of the main considerations is whether to buy a suite, a unit system, or sofa and armchairs separately. The most popular is the traditional three-piece suite, consisting of a sofa and two matching armchairs. They’re normally less expensive than if you buy them separately. To add interest to the colour scheme, use co-ordinating rather than matching pieces. The suite may not offer you the same flexibility or suit the room as well as e.g. two roomy, two-seated sofas plus an armchair. You get the same number of seats but more versatility. The sofas can face each other across a coffee table or be placed at right angles with the chair moved into or out of the circle as required. Other alternatives include a two-seater with three chairs or a group of four or five armchairs. For a less formal look, mix a traditional sofa with cane chairs and use upright chairs (e.g. dining ones) when you need extra seating. For a first time buy, keep your options open – buy one or two well-chosen pieces e.g. a sofa and armchair and buy extra seating later, when you have more money or your requirements change. You also can have a unit system, consisting of L-shaped and corner units, which can seat more people than conventional suites. Although these can be more expensive, they are more versatile, allowing you to create your own size of sofa or corner group. Corner seating in a small room takes up less space. With these systems, you can change the layout and atmosphere of a room to suit your needs, without much effort. You could also consider sofa beds and futons, these allow you to use the room for more than one purpose. With a sofa bed or futon in the living room, you don’t need a separateguest room and solve the problem of limited space in an apartment. When choosing the fabric for your sofa or suite, choose one that wears well. It will also depend on where it’s used – formal living room, a family room, or if there’re children or pets in the home. Light coloured sofas and children don’t mix so well. Upholstery fabrics are normally graded. Better grade ones do not easily fade, stain, stretch, tear, or wear thin, but like many other things they cost more. For heavy wear, a sofa with a patterned fabric, will show dirt and stains less than plain fabric. Arm-caps protect the vulnerable parts from wear and tear and it’s a good idea to get extra ones. Also choose a sofa with removable covers, so you can take them off for cleaning. Fabric on rounded sofas tends to last longer than fabric on a boxy design sofa. Baggy covers crease, get dirty, and wear more quickly than tight covers. The colour and pattern you choose for your sofa or suite is down to personal taste. Like everything else, fashion plays a part in this. Trends ‘come and go’ and now they ‘come and go’ faster, so buy a piece of furniture because you like it, not because it’s fashionable unless you want to change your sofa or suite more often. You could pick a neutral colour and dress it up with cushions and throws or you could make your sofa the centrepiece of the room, using bright colours and interesting design. Remember a light coloured sofa makes a room look longer than a dark one; bold patterns can be overpowering in a small room; while tiny print looks lost on a large sofa or in a big room. Check that the pattern on the back of the sofa matches the cushions and that the cushions match the skirt. If they don’t match, then the manufacturer probably didn’t construct the sofa correctly as well. Different fabrics give a sofa different looks, e.g. a lush floral suggests a cottage style, while a two-colour pattern can have an air of elegance etc. If you don’t like fabric covered sofas you could go for leather, very popular at the moment, but again don’t choose it for that reason, only if you like it. It’s attractive, hard wearing, and needs little upkeep, but can be expensive and sometimes cold to sit on. Don’t let light coloured leather come in contact with ‘non colour fast’ clothing such as denim, as it will stain it, as will newsprint. Buckles etc. can scratch or tear leather. Real leather will look better with age. It doesn’t matter how well a sofa looks, if it’s not constructed well it won’t last and since you’re spending a lot of money on it, get a well made one. It is usually made of four parts: the frame, suspension, filling, and covering (already dealt with). Make sure you have a good quality frame, as it’s an important element of comfort and to the life of the sofa. Sit on the sofa, to check the springs for resistance. Good quality sofas have coil sprung seats, as these distribute the weight evenly. Top of the range sofas use natural fillings such as hair, cotton wadding, and wool, but the majority are filled with foam or other man-made materials. Look under the sofa or chair for any sign of poor workmanship and feel the padding, you shouldn’t be able to feel the springs through the fabric. After you get up, check that the seat resumes its shape quickly. Loose cushions should be reversible and have generous seams. Check for loose threads, poor quality zips and rough edges – all signs of poor manufacture. Take note of the size of sofa or suite and a measuring tape with you when you go shopping and bring the rest of the family as well, if you can, so everybody gets to try out the various designs for comfort. Only shop when you have plenty of time, so you can try different designs and shops. Never shop when you are tired or everything you try will feel comfortable. Take off your coat and sit down, check that you don’t feel the springs or frame through the cushions. Make sure your feet touch the floor and that the front edge of the seat is comfortable and that it’s easy to get out of it. Decide if you want a high or low back, high back gives support to the head and neck and it better for tall people. Check if the furniture has casters, it can help when cleaning etc. allow time for the furniture to be delivered, as this can sometimes be 6 to 8 weeks. A sofa or suite can be something that will be with you for a long time, so choose wisely.